It’s a long-held belief in resume writing to include an objective section. It shows the employer what you hope to achieve and how you intend to achieve it. It can demonstrate maturity, a wide worldview, long-sightedness, and drive to accomplish your goals. However, in certain jobs it is considered the opposite. Resume writing doesn’t come with an instruction manual and nor should it. 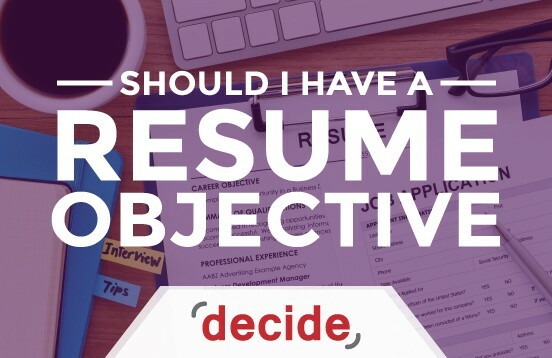 Usually when employers and HR recruitment heads are going through resumes, they get tired of looking at the same templates and lists and they often skim the resume to get a general idea of the candidate. If there is nothing special to catch their eye, they will pass you by. IT Resumes are best if they highlight your skills. Page one and page two of your IT resume are very valuable. Taking that space to show off your skills may server you better than having a resume object. Regardless, read on. For IT jobs especially, judging someone based on their skills is extremely objective. The amount of skills that people bring to the table, or the programming languages they are adept at, tells the entire story. In the tech world, having a static objective or a wide worldview is considered childish and no longer a viable option. In the 1980s when IT was still in its infancy and the major operating systems and software tech giants were taking shape, having a resume objective was considered a sign of maturity. However, since the field has evolved and diversified, becoming a staple of any industry, having a single objective can sometimes hamper your progress. There are so many areas in IT that people shift to when they find their calling lies somewhere else. Take Steve Jobs for example. He established Apple, Pixar, NeXT, and brought back Apple from the brink of bankruptcy. However, he always kept looking at different ways to improve technology in different areas such as music, computing, telephones etc. Elon Musk is another example; someone who has worked on a payment service (PayPal) and is now working on Tesla, the company that got the world to embrace electric cars, and SpaceX, the private space agency bent on terraforming Mars. Orthodox education is quickly becoming a relic. Now proficiency in individual skills has more value than academic degrees. You hear all the time about how MBAs and Bachelor’s degrees in Engineering and Business are completely useless. This is perhaps more true in IT than in anything else. There are so many programs out there that can be learnt independently and made use of to start entire companies. Most big tech companies were started by young up and coming entrepreneurs who began in their college dorm rooms. Microsoft, Apple, Facebook, Google, Uber and Snapchat were all brainchilds of programmers and computer enthusiasts who stumbled on a great idea. However, they all started by honing and developing their skills. If you want to list anything in a Resume, list that. Your academic degrees and awards for extracurricular activities count for naught, however, if an employer catches a glimpse of a skill that you’ve learned that they may want, you’ll be in. Sometimes, if you simply list a skill that isn’t required by the job, you may end up with a totally different position because of it. It may be higher or lower paying, but it’s an opportunity that you hadn’t considered before. That’s the real advantage of learning and honing your IT skills, there’s no knowing where you’ll need them. Remember that you have limited space on your Resume. Most employers don’t read past the first page so it’s in your interest to squeeze as much useful information about yourself on to a single page. Don’t waste time with any useless awards or certificates that you may have gotten for sports or arts and crafts. For an IT job you may mention if you’ve won programming competitions or coding contests, however, make sure that they’re sufficiently complex or advanced level prizes. Basic prizes for simple commands and programs don’t boost your resume at all. Also focus on enlarging the skills section of your resume. If you’re proficient in Microsoft Office, several programming languages, developer software, app design etc, then mention those skills. It’s also pertinent to mention any major projects that you’ve completed. If it’s a website or a game or a program that is online, you can even link that in the Resume. Highlight the different skills you have with bold typeface or underlines to attract the attention of the employer to that part of the page. It indirectly classifies that portion of the resume as the most important. Lastly, don’t waste time with an Objective because that will only take up space and attract the ire of the recruiter. As mentioned above, recruiters and employers look at hundreds of resumes every day. They’re aware of almost every template in use and keep flipping through resumes that they’ve seen a hundred times before. So it’s essential to stand out. You can get creative with how you present your resume. You can use different boxes and letterheads or shapes to highlight the different aspects of your professional career. Your degrees can be highlighted in a table and your skills can be placed in a mushrooming diagram so that each skill is related to another. You can even highlight the projects that you’ve completed by bordering them with thick lines to show that they’re the biggest accomplishments of your career. You can also frame your employment history in interesting ways. You can say that you “crushed it” at a company to signify that you were a model employee. And you could also place at the end of the Resume that your objective was to “Get you to read this Resume”. This way, you’ll ensure that the employer at least remembers you.